Representative Photo Only. Ashcroft® Dual-Scale Low-Vacuum Gauge. DO-68930-32 was succesfully added to your cart. Gauges have brass socket, beryllium copper diaphragm capsule, painted steel case, and polycarbonate lens. Bottom connection is 1/4" NPT(M). Pressure Gauge Selection Made Easy! 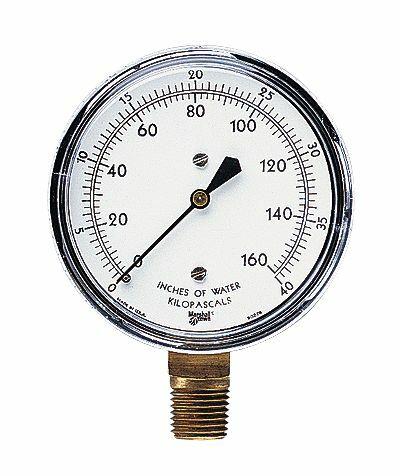 Does this gauge comes with certificate of calibration? To order this unit with the calibration certificate you need to add P/N: 17040-10. The needle was stuck on this gauge when I recived it. I installed it and pulled vac a few times and it seemed to free up the needle. Now I'm not positive how accurate it is.